formation or any other obvious sign that it was ever there. There is no chance of recurrence. 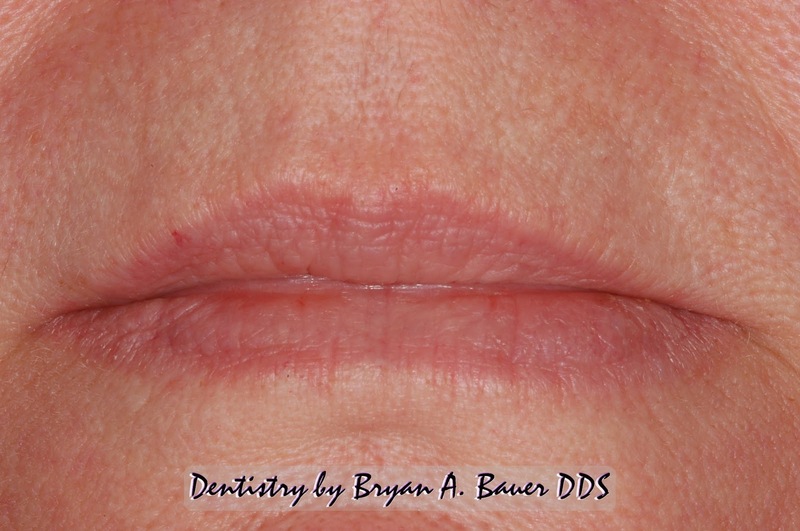 Here is one of my patient’s before and after photo. The after is 3 weeks later. experiences, if you wish to discuss with someone who has had it done. Just ask and we’ll share her contact information. ← Cracked root canal tooth? I have had a blue bump on my lower lip for a number of years. (At times a hard blue ball) I have had laser treatment on it twice by my Dermatologist and it has not taken care of the problem (removed it). When I was in Florida this winter, I saw a woman with a BIG blue bump on her lower lip. Do they grow? What can I do? Who should I go to? I’m located in Kennebunk Maine. Yes they grow as times goes on. Very few people treat it. It has been my experience that derms are not familiar with treatment. 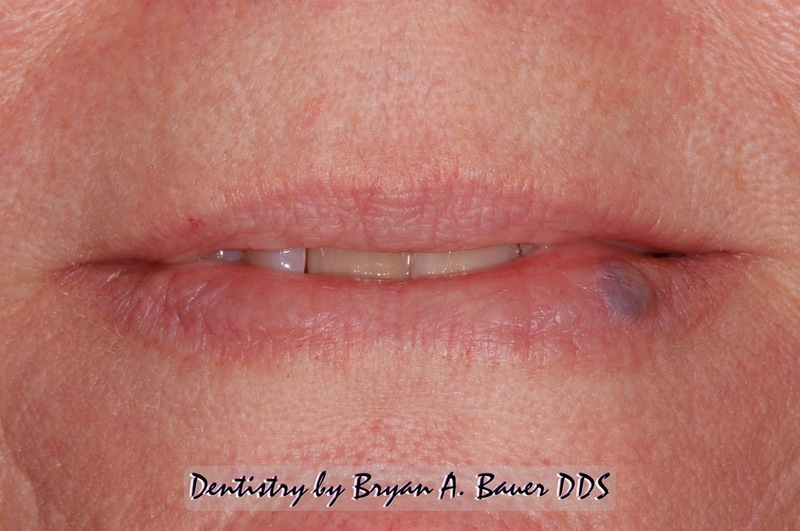 More than half the patients I see have already had failed treatments from derm. I see patients from all over the US because not many people do this. I only know one other person who I believe is in Calgary.